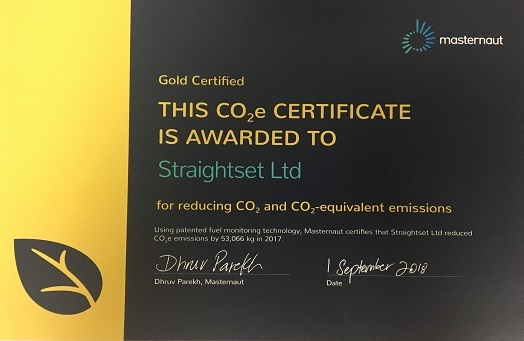 Straightset has been certified as a Gold Fleet by Masternaut for reducing CO2 and CO2-equivalent emissions year on year, compared to competitors. Climate change is a problem that affects us all, and as socially responsible operators, Straightset is constantly focused on being a green operator. Masternaut’s certification serves as a recognition of the work we do to improve the efficiency of our fleet. Masternaut’s Fleet CO2 Certification has been independently verified by the Energy Saving Trust, a UK based organisation with a mission to help people save energy every day, which has provided the following statement: The Energy Saving Trust has conducted a limited assurance verification of Masternaut’s Fleet CO2 Certification methodology and can give assurance on its accuracy as a measurement of CO2 improvement. The method of CO2 emissions calculation used by Masternaut is based on primary fuel data captured which generates the highest precision level for CO2 emissions calculations. When these values are combined with vehicle distances then the resultant outputs can be used to assess vehicle efficiency on an ongoing basis. 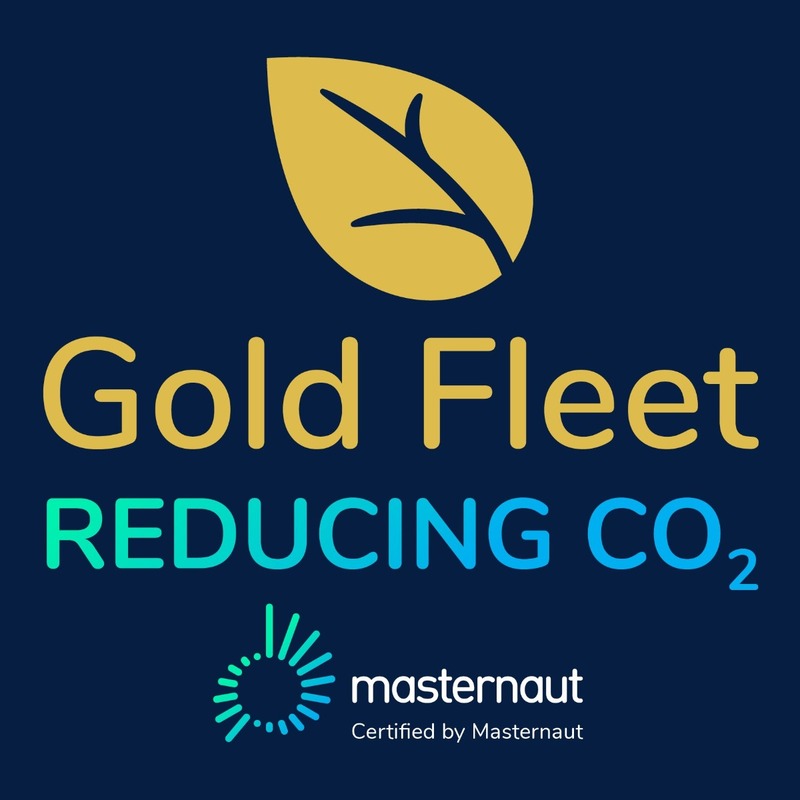 The Energy Saving Trust has also assessed that Masternaut’s Fleet CO2 Certification Programme will provide outputs that will allow operators to attain specific measured values, transport operator specific values or transport operator fleet specific values for transport services in accordance with EN 16258:2012 Methodology for the calculation and declaration of energy consumption and GHG emissions of transport services (freight and passengers).